Iranian Foreign Ministry Spokesman Bahram Qassemi says the Arab League’s support for Syria’s sovereignty over the Israeli-occupied Golan Heights was a positive and promising but insufficient move in the face of the excessive demands of the US president and the Zionist regime. Qassemi made the remarks in reaction to the final statement of the Arab League’s leaders’ summit held in Tunisia. Qassemi further noted Iran has been closely monitoring all the related developments of the Arab League summit in Tunisia over the past days. “The Islamic Republic and many of the Arab League members live in a sensitive region of the world and have common borders. Meanwhile, we have close and brotherly relations with most of them and as members of the Islamic Ummah, we have some common concerns and interests. This, in turn, leads us to accurately monitor all discussions and developments of the Arab League,” he said. The spokesman went on to say that except for some stances adopted by a few of the Arab League members’ leaders during the summit “who unfortunately insisted in vain on their wrong and unconstructive approach by holding animosity towards Iran and levelled some unfounded accusations against us,” the overall atmosphere of the summit was relatively more positive compared with that of the earlier summits. “This, we maintain, is mainly due to the wise and constructive management of Tunisian officials as the host of the summit,” he noted. 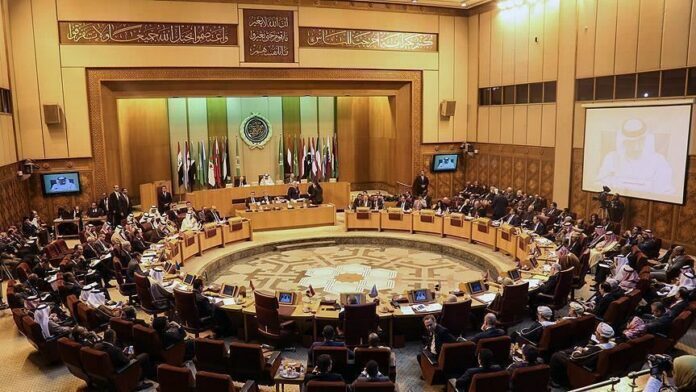 Qassemi hailed the Arab League statement’s support for Syria’s sovereignty over occupied Golan Heights, and described it as a positive and promising but insufficient move in the face of the US president as well as the Zionist regime’s excessive demands. “We maintain that the Muslim world should continue to prioritize the issue of the illegitimate Israeli regime’s occupation of Arab-Muslim lands and in line with that, prepare the ground for unity among its member states,” he noted. Qassemi said the Islamic world should not allow malevolent outsiders to shatter its unity and mislead it through plots. “The Islamic Republic of Iran deeply believes that the regional states are on the same boat with the same fate in the wake of the Zionist regime’s conspiracies and crimes and they need to remain vigilant and keep their unity in the face of the plots,” he concluded. His remarks come amid an international outcry following US President Donald Trump’s provocative decision to recognize “Israeli sovereignty” over Syria’s Golan Heights earlier this month. Israel waged a war against Arab territories in 1967 and occupied some two-thirds of Syria’s Golan Heights and annexed the region 14 years later. The international community has never recognized Israel’s sovereignty over the territories. In his Sunday statement, Qassemi further noted that Iran strongly rejects and condemns wrong and baseless claims on what the statement called Tehran’s interference in the internal affairs of Arab countries as well as claims on the trio Iranian islands. “We underline that avoiding any interference in the internal affairs of its neighbours is the principal and indisputable policy of the Islamic Republic of Iran,” he added. Regarding the three Iranian islands, the spokesman stressed that they are inseparable parts of Iran’s territory and sovereignty and added repeating the claims on the islands will have no effect on the legal status of Iran’s ownership of them. Iran has repeatedly rejected claims by the United Arab Emirates about the three Iranian islands, saying that they are inseparable part of Iran.